What Is The Best Workout Scheme To Focus On A Lagging Body Part? 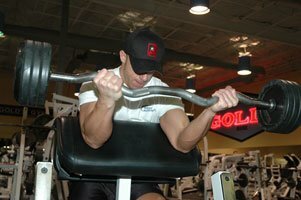 What is the best workout scheme to focus on a lagging body part? Sometimes we notice that one of our muscle groups are lagging... Here's what you can do to build up lagging parts and overall physique. Try it out! TOPIC: What Is The Best Workout Scheme To Focus On A Lagging Body Part? Sometimes when we look in the mirror we notice that one of our muscle groups are lagging behind the others. This can sometimes call for a change in one's training routine. What is the best workout scheme to focus on a lagging body part? Be Specific. How often, and for how long should a lagging body part be trained until switching back to one's normal routine? Is there any way to prevent a body part from lagging behind or is it inevitable? You've heard it thousands of times before - no one's perfect. But that doesn't make it is easier when the fateful day comes and you wake up to one of the worst nightmares a bodybuilder can face; a glaringly underdeveloped muscle group. Whether it's asymmetry or a pair of neglected muscles, it has the potential to ruin your day. But don't let it get you too down, because a little extra focus can get your lagging muscle right up to speed and no one will be the wiser. When you're faced with a complex legal question, the first person you should consult is a lawyer. Similarly, physique questions are best answered by professional bodybuilders. So, when faced with a lagging body part, what would Arnold do? Actually, he's done a few things. The first method is the priority principle1. This should be obvious enough - if you want to improve one area more than others, make it a priority. Incorporating this principle is simple. You have to learn to let your back do the work. 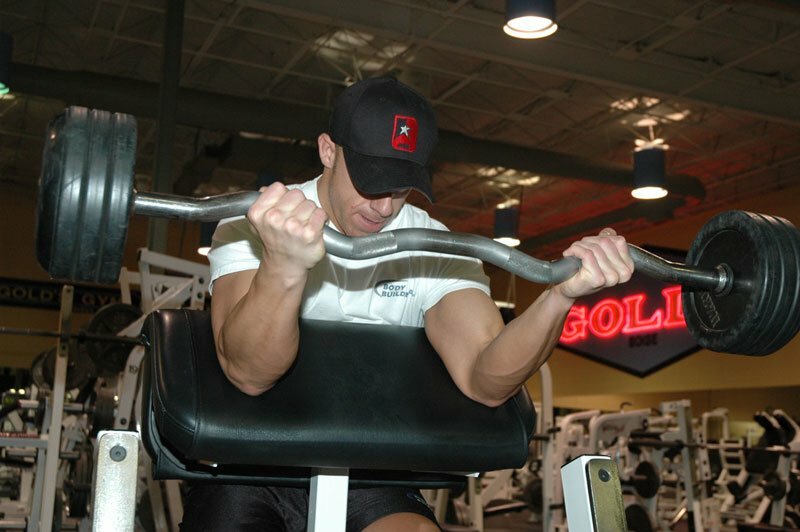 It is easy for your biceps or delts to takeover, or to use momentum to heave weight. First, train your lagging body part at the beginning of your workout. This way, you can dedicate all of your focus and strength to the body part in question before you've trained any other parts. This will eliminate the possibility of giving a sub-par effort due to exhaustion from other exercises. The priority principle doesn't end there, though. Improvement will come from working the lagging muscle group early AND often. There are a number of ways to add the "often" element. One way is to essentially make every set a superset, returning to the lagging muscle group after one set of whatever other exercise you perform. Another way is to intersperse a set or two for the lagging part in between each of your other exercises. This way, you will be drilling the lagging muscle more than your other muscles, but still allowing time for rest. But Still Allowing Time For Rest. By now, you can see that the key to promoting growth in an undeveloped area is to get that muscle moving as much as possible. 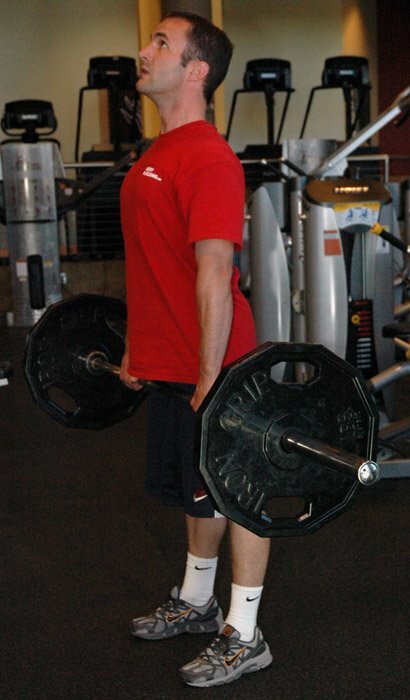 Another way to do this is to employ more compound exercises in your routine. For example, let's say your shoulders are underdeveloped. But because you're training other muscles as well, you were planning on doing triceps kickbacks for your triceps. However, that is a pretty isolated movement. In order to get your underdeveloped shoulders involved, try doing a military press, incline dumbbell press or dips instead. This way, you can get the benefit for your main muscle group as well as the lagging muscle group. Tri-Phase Training, Part 12 - Frequency: Weak Points Training! Watch and learn as Scivation's Marc Lobiner and Derek Charlesbois explain Tri-Phase Frequency Training (Phase #3), continuing this week with the final full workout of this series, Weak Point Training on Day Four! Lastly, you can incorporate one specific day of the week dedicated to the lagging part and nothing else. For example, you could do something like this: Push/Pull/Off/Legs/Lagging Part/Off. This way, you can be sure to hit the underdeveloped area on the push and pull days, as well as the designated focus day. A scheme like this guarantees a lot of stimulation for your lagging muscle group and makes it a top priority without sacrificing time for the rest of your body. How Often Should A Lagging Body Part Be Trained? There are rarely situations in which a blanket recommendation can be made for everyone, and this is no exception. The length of time needed to bring up a lagging body part depends on how far behind it is and how intensely it is trained. However, it is unlikely that fewer than two weeks will produce significant results, so don't expect a miracle overnight. Be sure to monitor your progress regularly and you'll know when you can return to your normal routine. Depends On How Intensely It Is Trained. There is nothing wrong with switching priority parts every few weeks if you feel that is appropriate. However, if you find you always have a lagging body part, there may be something wrong with your training protocol. If this is the case, sit down with a friend or trainer and try to figure out what the issue is that is inducing imbalance. If you're not sure, there are plenty of routines available on the internet for you to employ or adapt. Is There Any Way To Prevent A Body Part From Lagging Behind? If one consistently employs a flawless routine and applies an identical level of intensity to every single lift, I suppose it would be possible to build a physique that contained no lagging parts. Unfortunately, I don't think that's realistic. Every bodybuilder, from the world-class to the casual, will eventually find some flaw. But it's nothing to be afraid of, as such issues can be corrected. Top 10 Priorities For Ultimate Physique! Wouldn't it be nice to have a huge, barrel-like chest, massively peaked biceps, and flaring wide front deltoids? Yes! Here are 10 valuable methods of training that will show results. It doesn't matter whether you prefer upper/lower, push/pull, full body or anything else - just be sure to include exercises that work every muscle group equally, or as close to it as possible. While everyone has their favorite days in the gym, don't approach the other days as if they don't matter. Keep the intensity high every time you meet the weights. Why Is It So Hard For Modern Man To Commit To Fitness? At some point, everyone wants to be stronger, lose weight, gain muscle and workout. But it's the consistent effort that is difficult. Don't get sucked into the mindset that the only muscles that matter are the ones that flex - if you do, you'll wind up with huge arms and little else. Every muscle group is important, and it is often the ones that can't be displayed easily that are the most important. doesn't mean you should favor the former and forget about the latter. Be willing to take on the more difficult, compound lifts, and you'll find that the rewards are greater. Doesn't Mean You Should Favor Them. The importance of monitoring your progress cannot be overstated. The sooner you catch a potential problem area, the easier it will be to correct, and the happier - and more symmetrical - you'll be in the long run.